A new generation of weight-loss medications that suppress patients’ appetites and make them feel full is facing reluctance among patients because of safety issues with past diet drugs. The latest, Saxenda, from Novo Nordisk A/S, was approved by U.S. regulators late last year and hasn’t hit pharmacies yet. Other new appetite-suppressing prescription drugs on the market include Qsymia, Belviq and Contrave. Sales of the drugs have been slower than expected. The new drugs are arriving after years of few drug options for treating obesity. They have known side effects and restrictions on their use. But some doctors say generally they appear safe and are cautiously prescribing them to help people lose weight. Under Food and Drug Administration approval of Saxenda, the prescribing label warns the drug caused thyroid tumors in rodent studies, and that patients with a personal or family history of medullary thyroid cancer shouldn’t take it. A spokeswoman for Novo Nordisk said it plans to start selling Saxenda by mid-year. Concerns about cardiovascular-related side effects still linger years after previous weight-loss drugs made headlines. Wyeth, now owned by Pfizer Inc., withdrew one of the components of the so-called fen-phen drug combination in 1997 after it was linked to heart-valve damage in patients. And Abbott Laboratories withdrew Meridia from the market in 2010 because a study showed it increased risk of heart attack and stroke in patients. “Healthcare practitioners are still a little wary of weight-loss medications because of this sort of checkered past,” says Thomas Wadden, director of the Center for Weight and Eating Disorders at the University of Pennsylvania. Another barrier to adoption is spotty insurance coverage: Some patients shell out $200 a month or more for the drugs, though companies have offered some discounts. A reassurance for doctors prescribing the new drugs and for their patients is that the FDA subjected most of the new products to extra scrutiny before clearing them for sale. The agency took more time than usual to review manufacturers’ applications and required more proof that the drugs wouldn’t cause the cardiovascular problems that dogged previous weight-loss drugs. Some of the newly approved products are new formulations or combinations of older drugs that were previously approved for non-diet uses. The FDA also has required post-marketing safety studies for most of the drugs and monitors real-world use for safety signals. 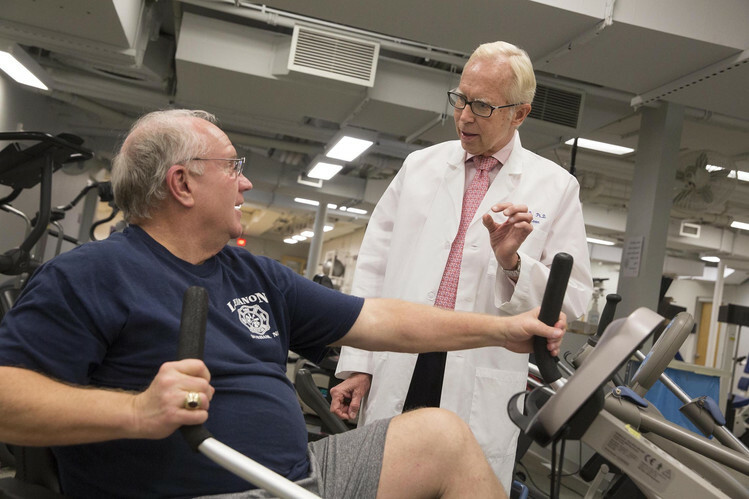 Ronald Sha, medical director at Duke University’s Diet and Fitness Center, says he has waited for up to a year after each new diet drug has come out before prescribing it, to allow for unforeseen safety issues that might emerge. He says he now feels comfortable prescribing Qsymia, which was approved by the FDA in 2012. The U.S. Centers for Disease Control and Prevention estimates more than one-third of adult Americans are obese, a condition that increases their risks of heart problems and diabetes. Doctors say that while lifestyle changes can help with weight loss, those who have difficulty may want to add a pharmaceutical option. The FDA approved the drugs for use in obese adults—those with a body-mass index of at least 30—or overweight people with a BMI of at least 27 and at least one weight-related condition such as high cholesterol. A medication may be appropriate for people who, in spite of multiple attempts to lose weight through diet and exercise, haven’t lost enough or who regained what they lost. The FDA spokesman said benefits outweigh risks in four weight-loss drugs it has approved since 2012. The drugs can cause various side effects such as nausea and dizziness, and some carry specific warnings. Pregnant women shouldn’t use Qsymia because an ingredient can raise the risk of cleft lips in fetuses. A label warning for Contrave, approved in September, warns of the potential for increased risk of suicidal thoughts and behaviors because it contains the drug bupropion, which is also used as an antidepressant. The companies marketing the new drugs say they have met FDA safety requirements. The FDA required the makers of Qsymia, Belviq and Contrave to conduct long-term studies of effects on cardiovascular health, and it required Novo Nordisk to monitor the potential risk for breast cancer and a type of thyroid cancer among users of Saxenda. The drugs can be considered “acceptably safe” and effective, says Robert Eckel, a professor of medicine who treats obesity at the University of Colorado Anschutz Medical Campus. Still, patients also are being cautious. Last fall, Carol Schulz, a retired medical-records specialist in Sagamore Hills, Ohio, got a physician’s prescription for Qsymia. Ms. Schulz, 63, had previously lost weight on a special diet but regained much of it after breast-cancer surgery in 2013. She wanted to lose weight because being overweight can increase the risk of recurrence of breast cancer. At first, Ms. Schulz was skeptical of Qsymia, because she was aware of the safety problems with older diet drugs. “I was fearful this could make things worse,” she says. She carefully read the extensive medication insert that outlines the known safety risks for Qsymia, and she researched the drug online. A big safety issue for Qsymia is that pregnant women shouldn’t take it because it can cause cleft lips in fetuses. That didn’t concern her, she says, because she is past child-bearing age. Ms. Schulz began taking the drug, in addition to modifying her diet and exercise and has dropped about 25 pounds since the fall. She says Qsymia makes her feel less hungry. During a recent vacation in Key West, Fla., Ms. Schulz relaxed her diet but continued to take the Qsymia. She opted not to order the “Bacon Lobster Tomato Benedict” dish at the Blue Heaven restaurant, which she had enjoyed on previous visits. She says the main side effect she experiences is dry mouth. “I do think the pill is making a difference,” she says. Each of the new drugs works differently but they all appear to suppress appetite and make people feel full. “They blunt the appetite and help patients stick to a diet program,” says Sangeeta Kashyap, an endocrinologist at the Cleveland Clinic and Ms. Schulz’s physician. Dr. Kashyap will prescribe a diet drug if a patient sees a dietitian and starts a medically supervised diet program. “The drug really helps because it keeps the patient vigilant. They have to come see the doctor every 30 days to get a refill, so they get more contact with professionals,” she says.